Simcha means “a joyous occasion” and Simcha 2018 is a joy-filled messianic gathering of believers from across Australia seeking the Lord’s favour and blessing. The vision for Simcha is to gather messianic believers together in unity in the Messiah, to look to God to grow and mature the messianic movement, to encourage one another and to work together for messianic revival amongst Jewish people in Australia and abroad. Come and join hundreds of believers for an inspiring weekend of bible teaching, workshops, worship music, dancing, prayer and fellowship. Located at the picturesque Phillip Island Adventure Resort with incredible facilities for the whole family. Our Theme for Simcha 2018 is – The Restoration of All Things: What God is Doing in Israel Today. 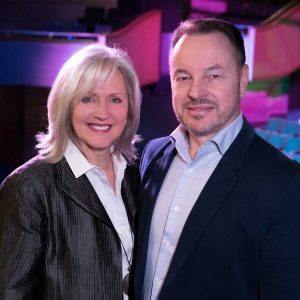 Our Special Guest Speaker will be Wayne Hilsden, co-founder of King of Kings Community Jerusalem, and FIRM, Fellowship of Israel Related Ministries, and his wife, Ann, who is a pioneer in messianic music and creative arts in Israel. Rabbi Lawrence Hirsch, Co-Founder and Executive Director of Celebrate Messiah and Rabbi of Beit HaMashiach Messianic Congregation. Dr Ashley Crane, Bible Teacher and Board member of Celebrate Messiah. Worship by the Beit HaMashiach Band with special guest Ann Hilsden. For full details and pricing, please download the PDF. Join our mailing list today and stay up to date with all upcoming events!